COPE accuses Ramaphosa of undermining Constitution - SABC News - Breaking news, special reports, world, business, sport coverage of all South African current events. Africa's news leader. 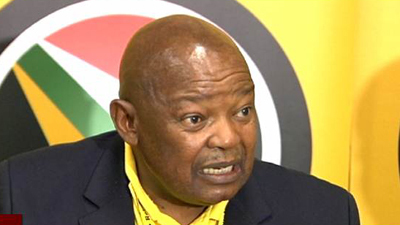 Mosiuoa Lekota has urged party members to ensure that people of South Africa vote for COPE. Congress of the People (COPE) President Mosiuoa Lekota has accused President Cyril Ramaphosa of undermining the Constitution of the country. Lekota says President Ramaphosa trampled on the country’s Constitution by facilitating the process towards amending of Section 25 to expropriate land without compensation. Lekota was speaking during his party’s second elective congress in Bloemfontein. Lekota says the country is being led by a President who is leading the attack on the Constitution. Meanwhile, Lekota, who is set to be re-elected the party’s President, says South Africans need a new South Africa. He has urged party members to ensure that the people of South Africa vote for COPE. This entry was posted on 19 Jan 2019,09:11AM at 9:11 AM and is filed under Politics, Homepage Latest Stories Slider. You can follow any responses to this entry through the RSS 2.0 feed. Both comments and pings are currently closed.